Computex 2018 has been underway and a range of hardware manufacturers have been showing off the best they have to offer at the show in Taipei. 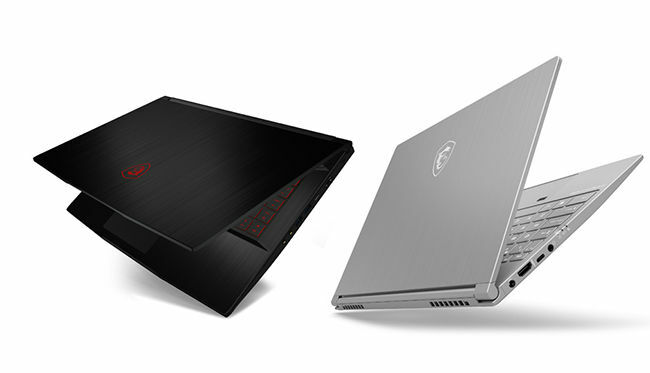 MSI has brought much of its lineup for consumers to experience up front. Alongside the debut of their thin bezel laptops MSI GF63 and PS42, MSI also showcased the Dragon Center 2.0. The redesigned Dragon Center features monitoring and optimizing system performance through various customizable profiles and freeing up system memory to prioritize in-game performance. The Gaming Mode lets gamers select between popular game titles and pre-programmed macros that are popular for the game. 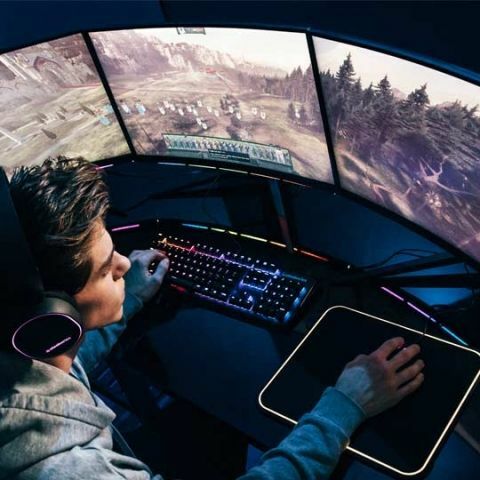 They have also revealed the Trident A series gaming desktop, Oculux series gaming monitors with NVIDIA® G-SYNC™ built-in and Optix MAG series curved gaming monitors, B450 TOMAHAWK gaming motherboard and MSI Streaming Boost, GTX 1080 Ti GAMING X TRIO and Vigor GK80 GAMING Keyboard at the show. For more on the GF63 and PS42, check out this link. 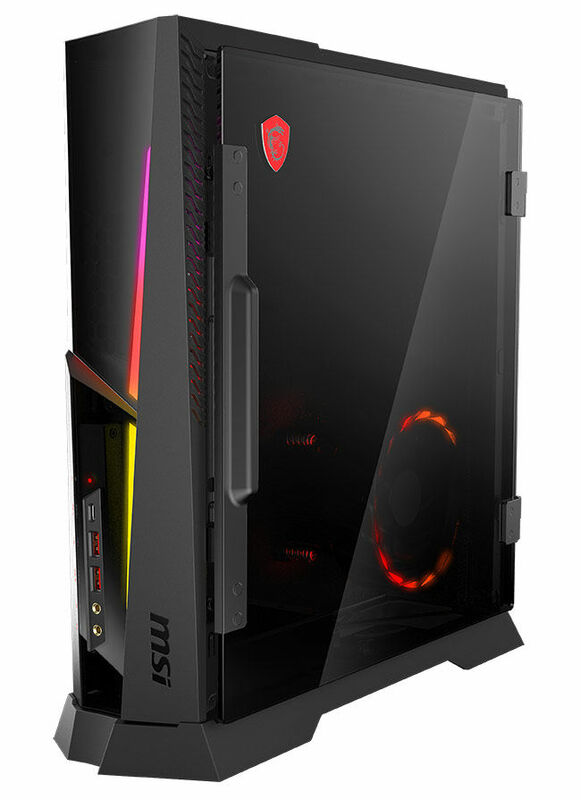 The Trident A series features the latest 8th Generation Intel® Core™ processors and is also reportedly the first compact desktop PC to incorporate an SFX power supply and an MSI graphics cards in a 12-litre case. It features a glass side panel and the "Silent Storm Cooling" thermal system utilizing three airflow streams to cool major components while gaming. The Oculux NXG251 series features NVIDIA® G-SYNC™ compatibility and claims a refresh rate of 240Hz with 0.5 ms response time. It comes with a TN LED panel and is Mystic Light Sync enabled. The Optix MAG271CR/ MAG241CR series features MSI's new Gaming Echo function, which enables the RGB zones on the back of the unit to react to in-game audio and lighting effects. 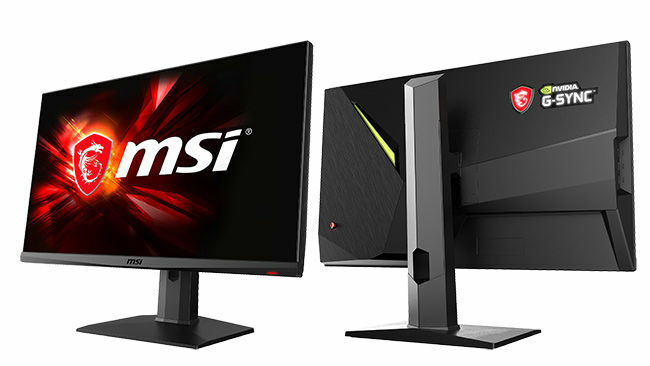 It also features a 144Hz display and claims a 1ms response time on its VA LED panel. 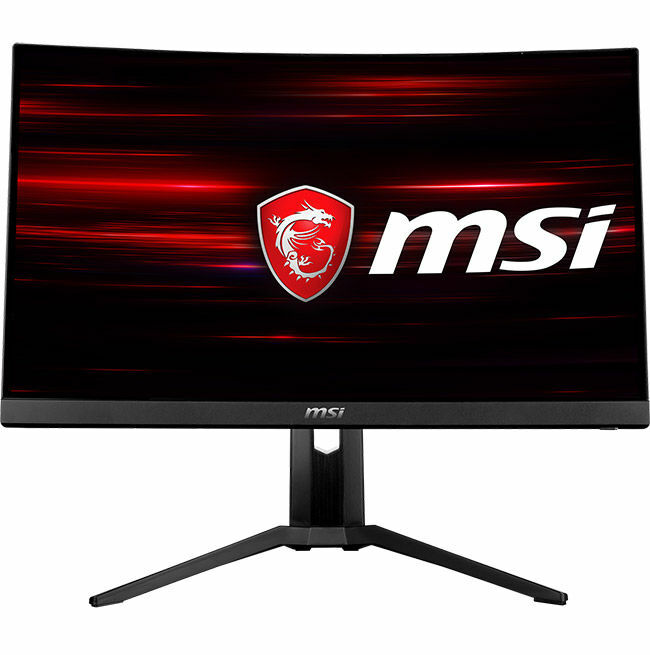 Additionally, the monitor features a Gaming On Screen Display software that allows users to tweak the monitor’s settings right from the desktop and even supports easy switching between different profiles for different games. The new B450 TOMAHAWK motherboard is focussed at a tougher and heavier design - reportedly optimized for 2nd Generation AMD® Ryzen™ Processors, with support for these AMD® processors in the AM4 platform. It features an MSI exclusive extended heatsink, the extended PWM and enhanced circuit design aimed at better thermal performance, even from high-end AMD® Ryzen™ 7 processors. On the customisation front, The B450 TOMAHAWK comes with a customizable sticker area that allows gamers to choose their sticker styles for the heatsink cover, and also features MSI’s Mystic Light with 10 LED effects. It also comes with AMD® Native Turbo USB 3.1 Gen 2. MSI Streaming Boost is a component aimed at mobile game streamers. It features plug and play functionality and supports full HD along with resolution adjustment at various scenarios. 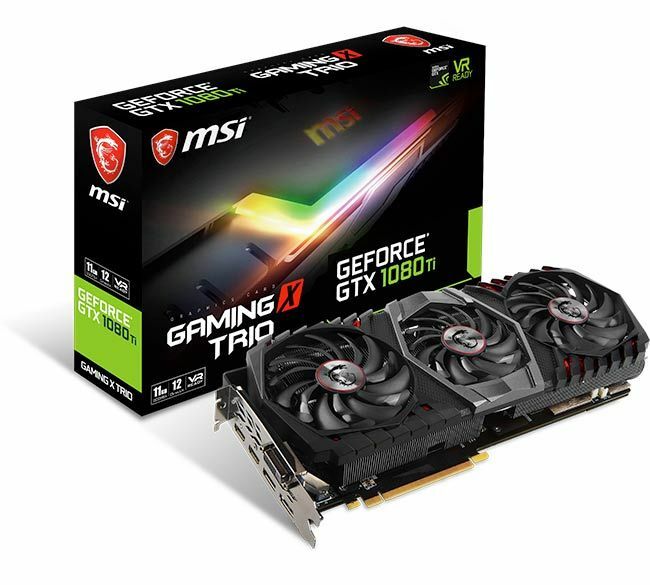 The new MSI GeForce® GTX 1080 Ti GAMING X TRIO comes with three TORX 2.0 fans and Mystic Light RGB. It also boasts of Military Class certified components. 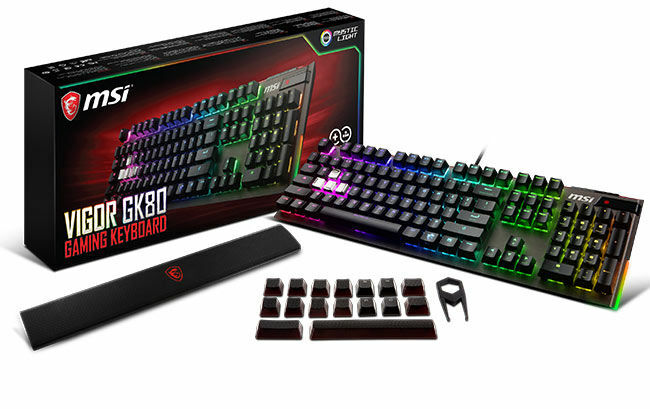 With an aluminium frame and Cherry MX Switches, the Vigor GK80 also features MSI’s standard Mystic Light for RGB control and hotkeys. It also features a slot to store additional keycaps under the full-sized wrist rest. The Vigor GK80 comes with dedicated media keys and an integrated USB pass-through port.